What’s behind the home buyer pilgrimage to Plymouth? 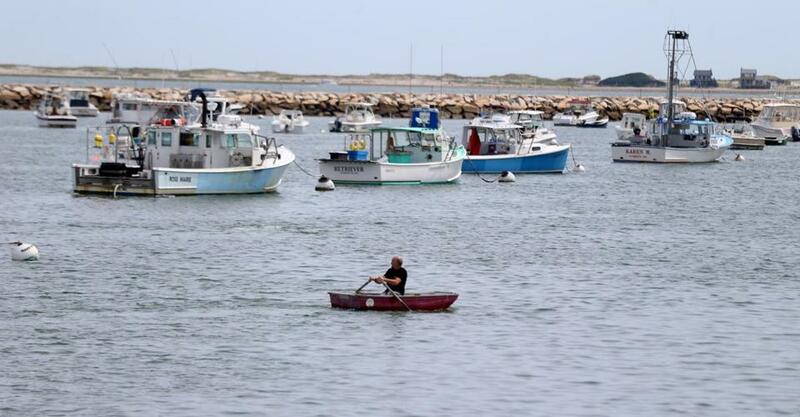 The town has 37 miles of coastline and a population of 56,468 as of the 2010 US Census, a 15 percent increase since 2000. PLYMOUTH — Plymouth Plantation is a must-see for schoolchildren and history buffs, and the town’s 37 miles of coastline is a big draw, too. Now, thanks to a flurry of activity and development, home buyers are giving “America’s hometown” a second look. The continuing development of the upscale Pinehills community helped kick things off, but downtown Plymouth, in particular, has seen a vigorous revitalization. Restaurants and boutiques have moved in, and dormant old structures have been transformed into community buildings. The Spire Center for the Performing Arts, a former house of worship, has become a venue with 19th-century architectural details and superior modern acoustics and lighting made possible by $650,000 in Community Preservation Act funds. 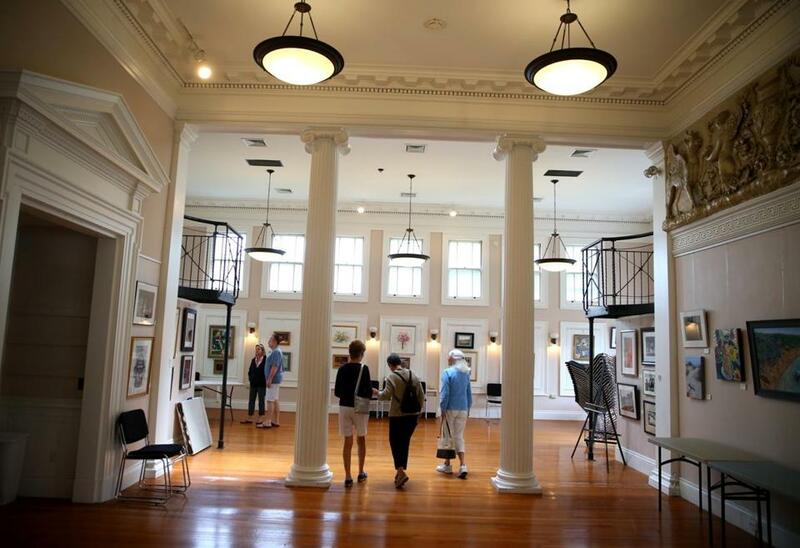 The Plymouth Center for the Arts, located in a graciously restored 1902 building, hosts an array of exhibits. A 1920s building on Obery Street will house the town hall, and the library has a new home on South Street. Indeed, Plymouth is preserving its history (Pilgrim Hall Museum, anyone? ), but the town is undergoing a cultural and construction boom. Two years ago, Rick Vayo, president of MEGRYCO Inc., set about transforming the 1906 brick armory on Court Street from a barracks and training facility into a 20-unit condominium complex. “We thought this type of project could be a catalyst to bring residential life back to the immediate downtown,” Vayo said. His hunch was spot on. 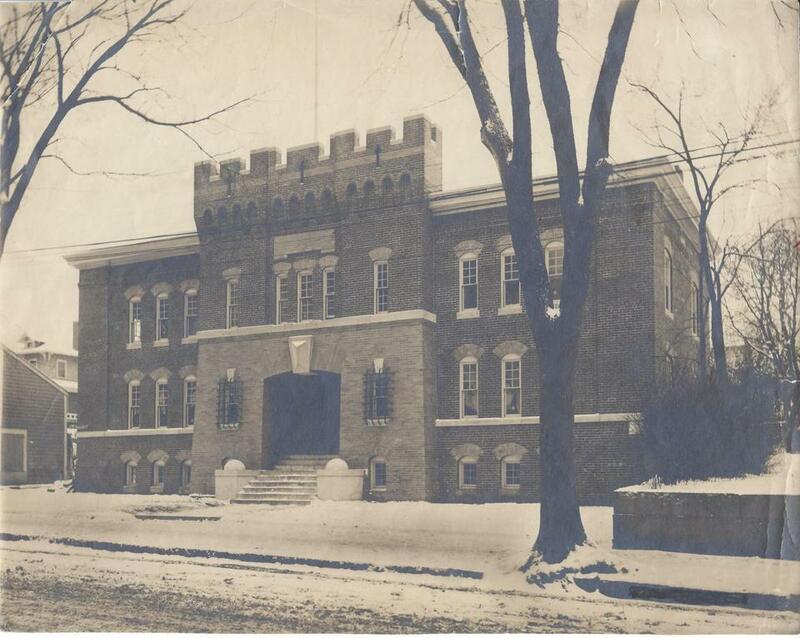 The armory barracks and training facility on Court Street before its conversion. Before construction was completed on the building last August, 75 percent of the one- and two-bedroom units, priced from $275,000 to about $620,000, had sold. Today, all but one has gone under agreement. Plymouth has come a long way from thatched roofs and dirt floors. 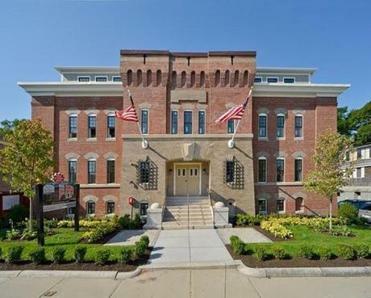 During construction of the Armory, Vayo purchased another downtown landmark, the 1904 building that housed the Registry of Deeds until the mid-2000s. Dubbed The Registry, the 19 units in the Russell Street condominium project will have a slightly higher-end feel with private patios and balconies, custom finishes, and water views. 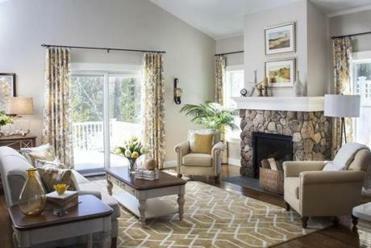 Homes will range in size from 800 to 2,000 square feet and be priced from $329,000 to $899,000. The groundbreaking took place in late May; six units have already been sold. 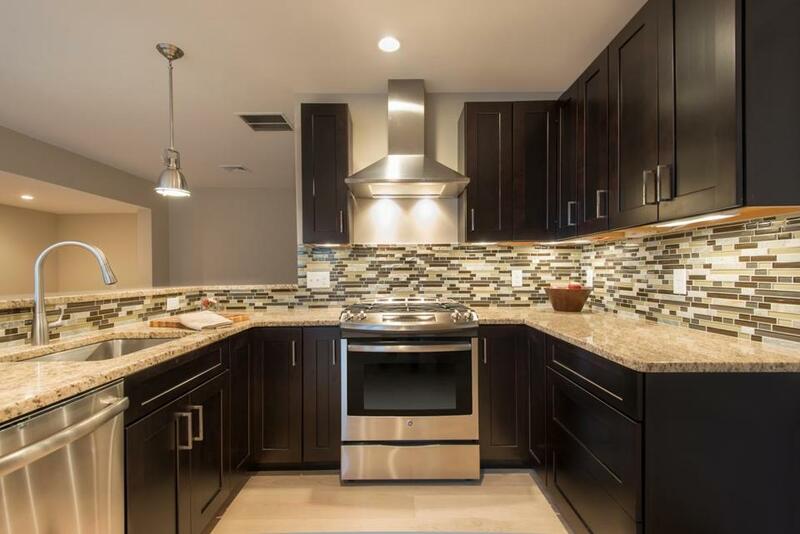 The Armory, a 20-unit condo complex, where all but one of the units has gone under agreement, including the one with the kitchen seen below. The development isn’t solely concentrated downtown. Redbrook is a new community on the southwestern edge of Plymouth focused around a village concept, with a town green, retail stores and office space, a cafe, and a YMCA. A series of single-family and multifamily homes, condominiums, apartments, and assisted-living facilities are planned. The kitchen in a unit at the Armory. The single-family home prices are in the high $300s to the low $400s. 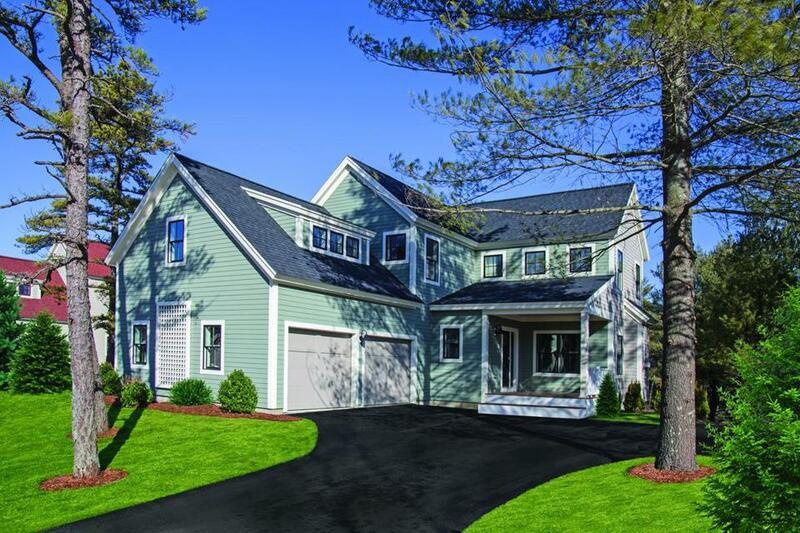 The Falmouth-based builder behind Redbrook, Valle Group, is offering seven three-bedroom, 2½-bath home styles. Several model homes and a visitors center were unveiled during the grand opening in June; 18 homes have already sold. The median value of a home in Plymouth is $309,100. The exterior of the Cedar model at Redbrook, a new community on the southwestern edge of Plymouth that will have a town green, retail and office space, a cafe, and a YMCA. At just over 103 square miles, Plymouth has the largest land area of any municipality in the Commonwealth, and about 25 percent of the land is protected, according to Hartmann. Good thing the town is so big. Between 2000 and 2010, its population increased by roughly 9 percent, from 51,701 to 56,468 people, according to US census tallies. By 2030, the population may grow to more than 75,000, according to town forecasts. The interior of the Cedar model at Redbrook. Along with its growth, Plymouth has had its share of problems, particularly with drugs. The town has formed a task force to tackle its heroin epidemic. It counted 15 drug-related deaths last year and 313 overdoses, a total 50 percent greater than Taunton’s, a city that once had been considered the face of the heroin epidemic. These days, the median value of a home in Plymouth is $309,100, a 7.1 percent increase since last year, according to May figures from Zillow.com, an online real estate site. The average condominium goes for $226,000, which still makes it an affordable place for first-time home buyers and young families to gain a foothold. Hartmann said there are even more residential developments on the horizon. In North Plymouth, on the site of Plymouth Cordage Co., once one of the largest rope and twine manufacturers in the world, a 675-unit residential development by Janco is in the works as part of a planned community. And Vayo’s MEGRYCO has permitting to create another 19-unit complex on the grounds of the old Ellis Curtain factory in North Plymouth. With the town’s 400th anniversary only five years away, Plymouth is poised to showcase its revival. The Plymouth Center for the Arts, located in a graciously restored building that dates to 1902, hosts an array of exhibits.